Reunity Farm is a community farm located in Agua Fria Village, Santa Fe, New Mexico. 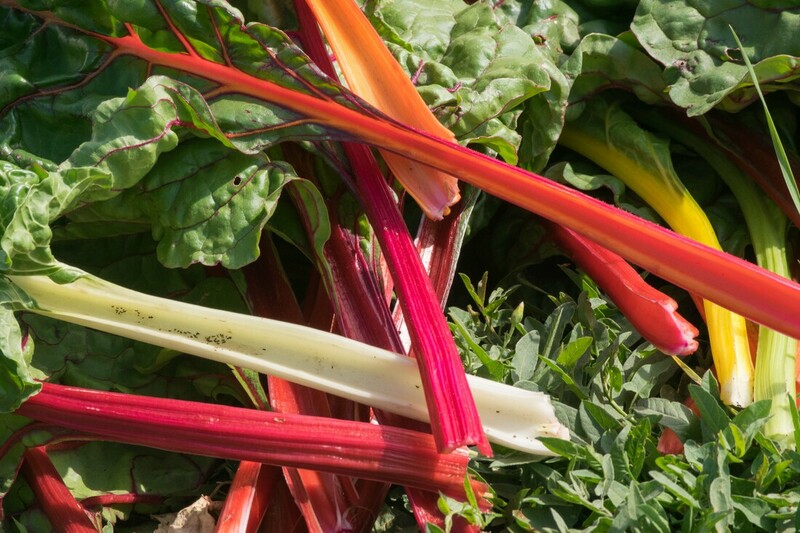 We grow vegetables, herbs, fruits, and flowers following regenerative and organic farming standards. Reunity Farm emphasizes access to local foods by donating 10,000 pounds of produce to community hunger efforts annually and operating a neighborhood farm stand ten hours a week. We also host field trips, volunteer groups, and workshops. 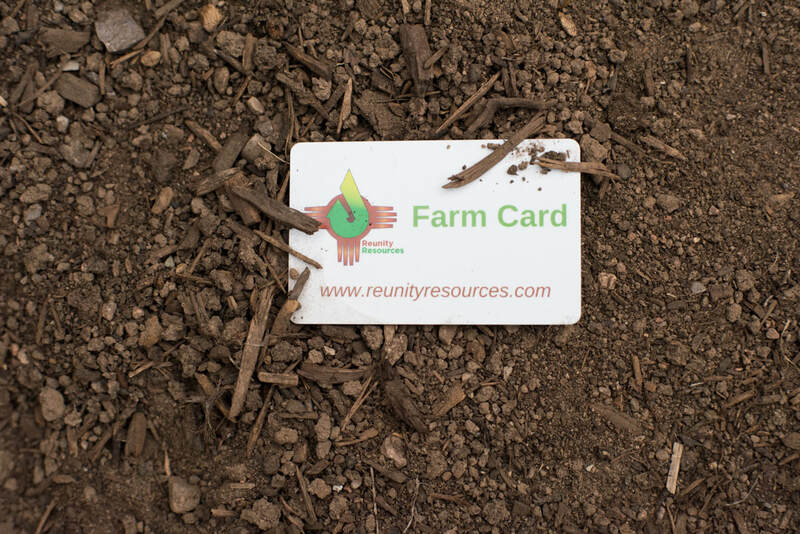 The Farm Card itself is a prepaid card that can be used to purchase Reunity Farm produce or flowers at our on-site farm stand (1829 San Ysidro Crossing) or our booth at the Tuesday or Saturday downtown Santa Fe Farmers’ Market. You decide how much money to put on your card, what to spend your money on, and when to spend it. Farm cards offer a discount of 10% on all purchases and start at a minimum of $100. Our season runs June through November. Come to shop, plan to stay! We invite you to join us to relax by the farm, play, and restock your kitchen. During Farm Stand hours, Reunity Farm is an open gathering space for you, friends, and family. La Loncheria Salvadorena will be joining us on Saturdays to serve the best pupusas in town from their food truck. Programming will vary each week and is family friendly. Come enjoy music, hands-on activities and collaborative community events! See our Events page for up to date information. 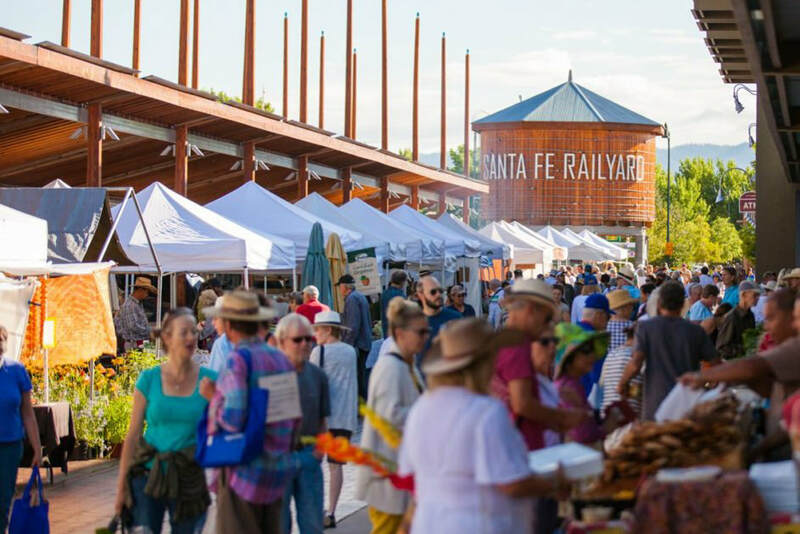 ​Serving more than 150 farmers and producers in 15 Northern New Mexico counties, the Market brings fresh food, education, and fun to our community and promotes small farms and sustainable agriculture in Northern New Mexico. Reunity Farm, formerly the Santa Fe Community Farm, has a rich history of local engagement and food justice work. Read more about the story by clicking below.